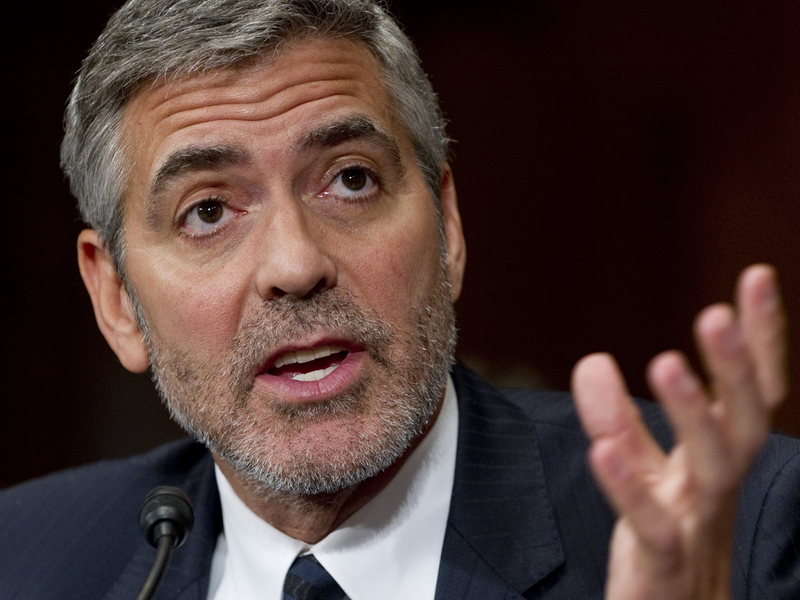 (CBS/AP) WASHINGTON - George Clooney testified before Congress on Wednesday, warning of a humanitarian crisis in the volatile border area between Sudan and South Sudan, where residents are taking refuge in the Nuba Mountains because of aerial bombardments. The actor and human rights activist came to Capitol Hill after returning Tuesday from a visit to the region, where he said there is a "constant drip of fear." "We found children filled with shrapnel, including a 9-year-old boy who had both hands blown off," he told the Senate Foreign Relations Committee, according to CNN. After more than two decades of fighting, South Sudan seceded last July and became the world's newest country. But violence has raged along the border since then. Clooney traveled to Sudan with John Prendergast, the co-founder of the advocacy group the Enough Project, who also testified before Congress Wednesday. Clooney filmed the hardship for a video that was posted online shortly before his testimony. Earlier, Clooney said on "CBS This Morning" that the Sudanese government was committing "war crimes" in the Nuba Mountains. "What we're looking at is a real disaster," Clooney told a small group of reporters before testifying at the hearing. The Academy Award-winning actor brought his star power to an issue that the committee chairman, Sen. John Kerry, D-Mass., acknowledged captures the public's attention only intermittently. Clooney acknowledged a "misery fatigue" for Americans amid the war in Afghanistan and crises in Syria, Somalia and elsewhere as he tries to raise awareness about the suffering in South Sudan. But he pointed out that President Barack Obama cited the shutdown of oil in the Sudan region as contributing to the rise in gas prices, and a resolution of the conflict could affect Americans at the pump. The actor planned to meet with Mr. Obama and Secretary of State Hillary Rodham Clinton on Thursday.